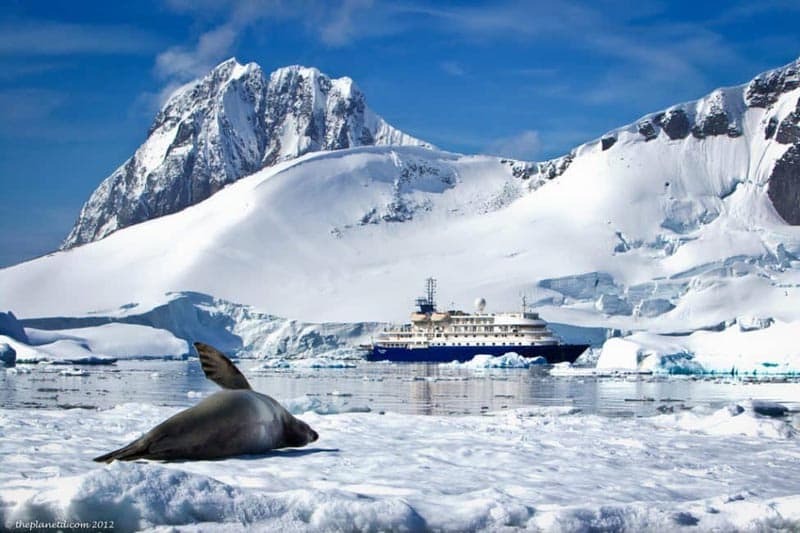 Antarctica is fast becoming the supreme travel destination for the true adventure traveller. It's a once in a lifetime opportunity, so people are seriously going to want to take advantage of all the things to do in Antarctica. A visit to Antarctica seriously makes for the best bar conversation and bragging rights out of all your friends. But there's a lot more to Antarctica than just ticking off a list for bragging rights. Antarctica is filled with great beauty, an abundance of wildlife, and a ton of fun and adventure. 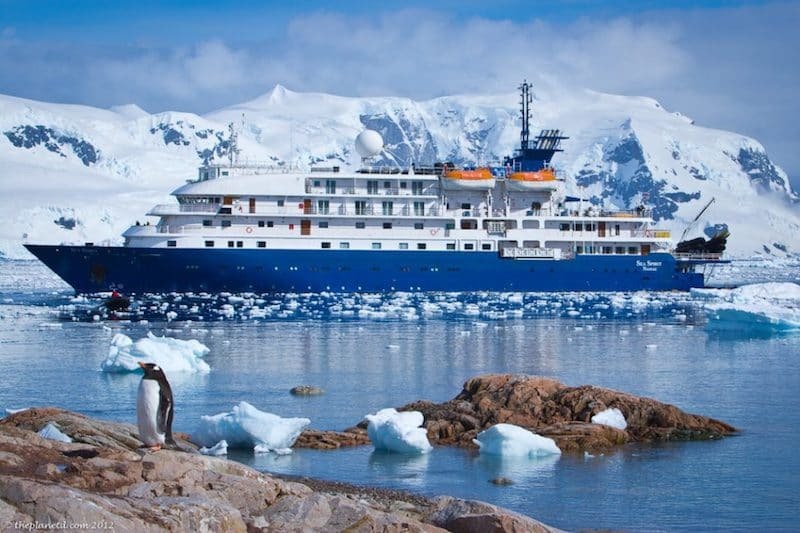 You can visit Antarctica any way you like these days, from luxury vessels, to expedition ships and icebreakers. 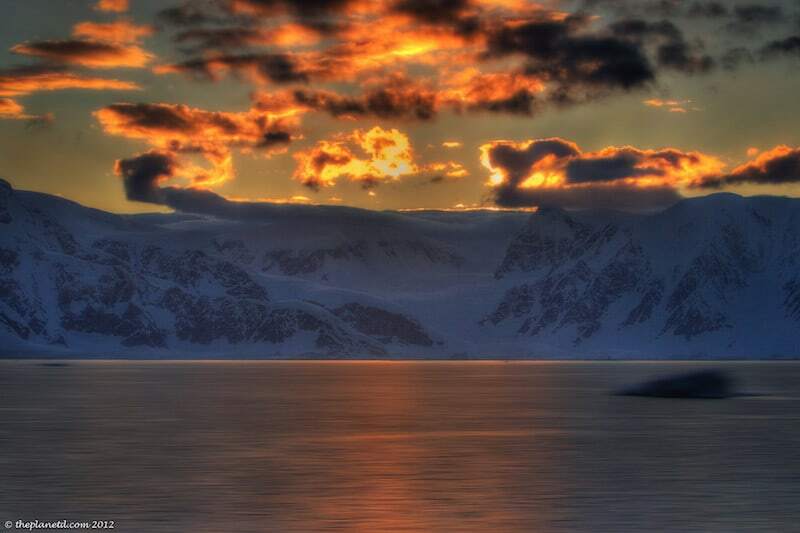 Antarctica has it all. Travel to Antarctica has come a long way baby and you don't have to spend your time on a cot somewhere in the back of a research ship either. There's actually a lot of amazing things to do in Antarctica that make it the pinnacle of travel destinations. And you don't have to spend your day sitting on deck looking for wildlife, there are tons of ways to explore the continent. When Quark Expeditions offered us the chance to go kayaking in Antarctica I didn't know what to expect. I was nervous about kayaking in such cold water and I thought that maybe we'd get out on the water once or twice during the cruise. We ended up kayaking 8 times in Antarctica and it was magnificent. t was an extraordinary way to quietly explore the Antarctic Peninsula and it was the adventure of a lifetime as we paddled through brash ice and along the wild Antarctic coast. If you asked me what I thought of the polar plunge while I was taking part in this zany adventure, I would have told you not to do it and it's the lowest thing to do on my list. However, now that I am home and in the comforts of a warm and cozy house, I say it's one of the top things to do in Antartica. Why? Because how often do you get to tell people that you jumped into sub-zero waters in the South Pole and lived to tell the tale. It's the extreme spectrum of adventure travel and not many people will be able to top you once you've told them you survived the polar plunge. Wondering what an Antarctica trip is like? Check out our Antarctic Expedition Explained. Few people have travelled to Antarctica and even fewer have actually stayed overnight on the continent. People sleep on expedition ships or fly to Antarctica to step on the land, but not many people have actually camped in a bivy sac, in the middle of the snow beside snoring leopard seals. Camping on Antarctica is a must. Yes, it's cold, it's uncomfortable, and you can't eat, drink, or pea on Antarctica, but once you are back on board your ship after surviving a night as the early explorers did, you'll be filled with pride and gratitude that you never have to do that again. Camping on the Continent is one of the best things to do in Antarctica, read more about it here. 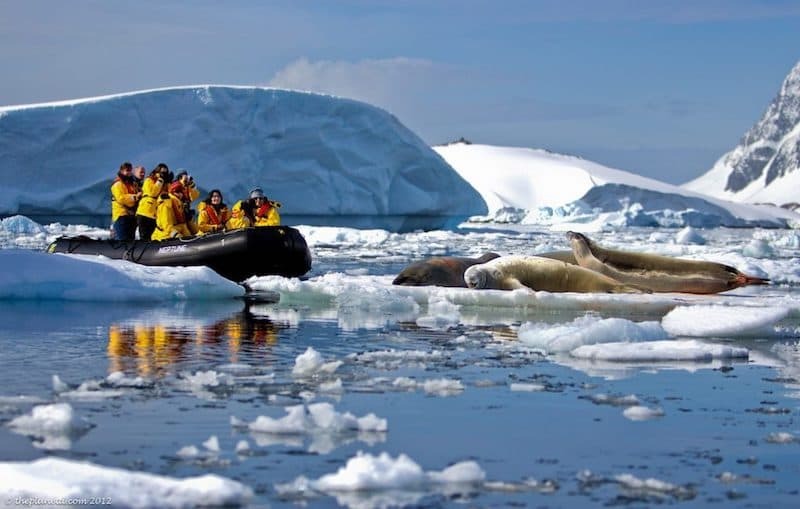 Most expeditions to Antarctica will offer zodiac tours of bays and icebergs. Seeing whales, seals, and calving glaciers from a zodiac is a moment you won't soon forget. We loved scooting around icebergs and puttering through thick brash ice in search of extraordinary formations and incredible wildlife. Getting off the ship to see things in an intimate manner is a must. We had whales surface right beside our boats and then dive underneath for a closer view. We looked these great mammals in the eye as they seemed to give us a friendly hello. 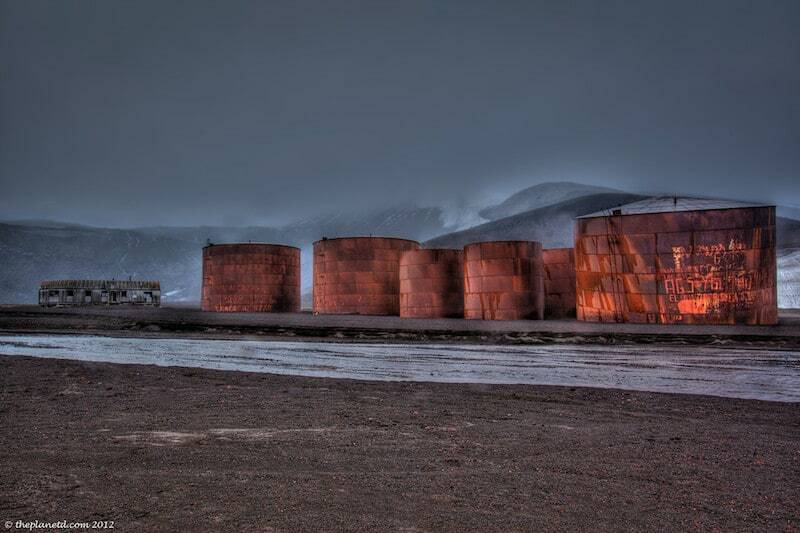 Stopping at Port Lockroy is a fun stop on an Antarctica itinerary. It's a spot where you'll run into other expeditions and get the chance to talk with the staff of the English research station. There you can browse the museum, play with the penguins and buy some souvenirs and even post cards that can be mailed from the bottom of the world to your loved ones at home. 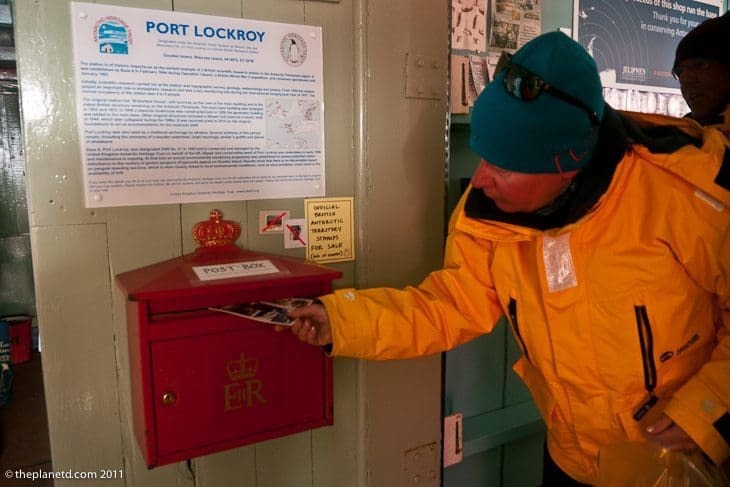 Read all about it at – A Post Office in Antarctica? Speaking of penguins. 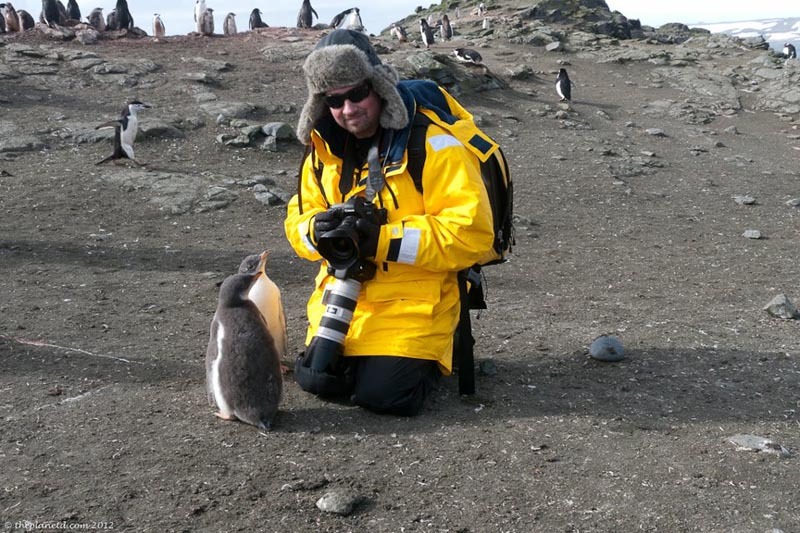 A highlight of any Antarctica visit is to interact with penguins. These are truly the cutest animals on the planet and watching them go about their daily lives will bring joy to anyone's heart. They waddle through their penguin trails making their way to the sea in frantic fashion. It's adorable to see the energy of penguins rushing about doing their business. Mothers protect their chicks and penguins call out to one another. But the most memorable of all penguin encounters are when you sit quietly and let the curious creatures approach so close that they end up walking on your legs or picking at your coat. One of the most ominous things to do in Antarctica is to visit Deception Island. Deception Island is one of the safest harbours in Antarctica that just so happens to be an active volcano. Deception island is the caldera of said volcano and back in the day it was an old whaling station. Here on the shores of the island, you will see old oil drums, boilers, and whale bones from a darker time. It's as horrifying as it is beautiful. Nicknamed the Fuji Funnel, Kodak Canal and Agfa Alley the Lemaire Channel is one of the top things to do in Antarctica for photographers. If you took photographs pre-digital world, you will be familiar with Fuji, Kodak, and Agfa; all popular brands of film. During our passing through the narrow channel, we spent hours standing outside on deck taking photographs of the most spectacular scenery on the planet. Antarctica is truly the final frontier of natural beauty and the Lemaire Channel is the most beautiful of the top destination. Now that's saying a lot. 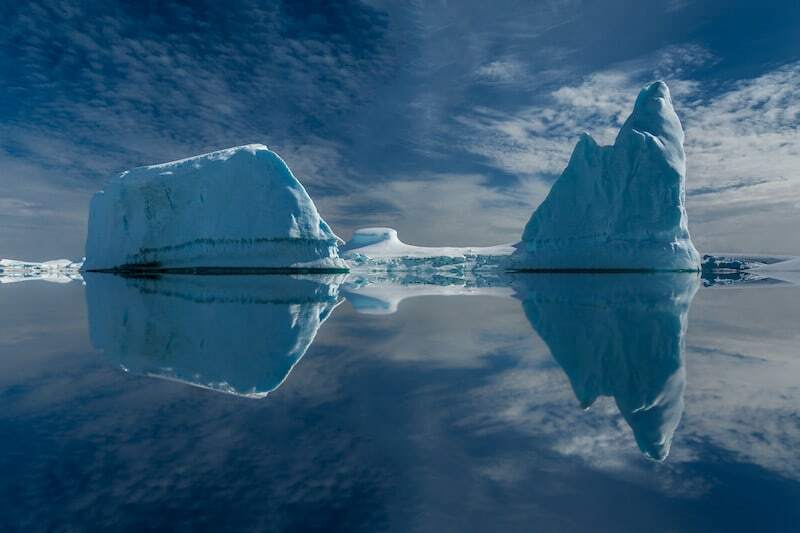 Speaking of photography, one of the greatest things to see on earth are actual icebergs. Before going to Antarctica, we had never seen an iceberg in the ocean. In Antarctica, the ice is massive, colourful, and it creates some of the most interesting formations. At one point we took a cruise through an iceberg graveyard where icebergs have grounded on the bottom of the sea and this is the spot where they will spend the final days breaking apart in the water until they dissolve into nothing. It's eerie and beautiful all at once. 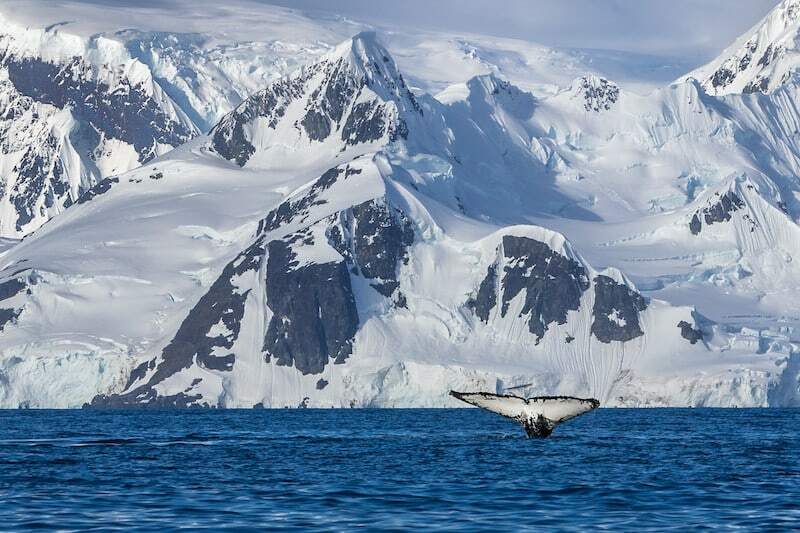 I don't think there is a better place on earth to watch whales than in Antarctica. Here whales have no fear of man and they are the top of the food chain. Therefore, they have no reason to hide. 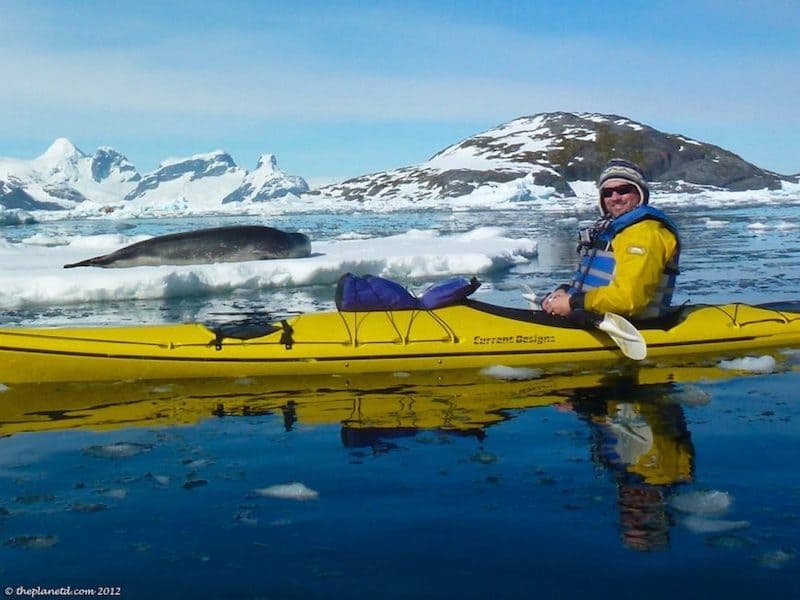 Whales haven't been hunted in Antarctica for decades, so when they see a kayak, zodiac or ship, they don't run the other way, they come in for a closer look. Seeing a whale in the wild is a magical experience and when traveling to Antarctica, you can get so close to them, you can almost reach out and touch them. During one of our days at sea, we had a mother and calf follow our ship and the calf continued to breach for 45 minutes putting on a dazzling show for the spectators on board. Okay, so it's not in Antarctica, but to get there you have to cross one of the most treacherous bodies of water on the planet. Crossing the Drake Passage is truly a badge of honour. If the weather is calm, it's uneventful and easy, if the seas are rough, the Drake Passage will set you on a rumble and tumble two day journey that will turn even the most seasoned sailor into a ball of mush. We had a smooth crossing out, but coming back to civilization was another story and our crew told us it was one of the worst of the season. How do we know it was bad? When Dave went down for dinner one night, only 2 other passengers joined him in the dining room. Throughout a very rough day, lectures were cancelled due to passengers and crew alike stuck in bed with a bad case of seasickness. It's a rough ride, but it makes for a great travel tale. So there you have it. 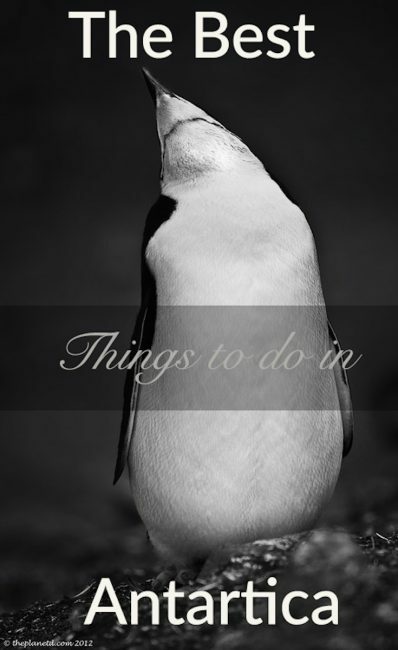 These are the top things to do in Antarctica according to Dave and Deb. We did every one of these excursions and adventures and we can attest that they are magnificent. Some of them are better in retrospect (hehem, the polar plunge) others were pure perfection from beginning to end. Antarctic is astounding. You will be in awe from beginning to end and you will talk about this journey for years to come. It's been 3 years since we were in Antarctica and we still can't stop talking about it. Arctic or Antarctica, how do you choose your polar expedition? 19 Responses to "11 of the Best Things to do in Antarctica"
those snow it must be freezing cold out there, some people are just more adapted to cold weather than the others. But for my favorite beautiful animals like the eels, penguins and whale it’s definitely worth a visit. it’s great you two are living the live you truly love, that’s very courageous i must say.Thanks for sharing those exotic views. Deception Island has such an enchanting and ominous aura and Lemaire Channel is breathtaking. Your post is so helpful . Great photograph. Thanks for sharing information exotic views. Is this an actual itinerary, the one on the image ? Where can we book it ? Your pictures, blog and story are inspiring !! I can do relate ! Thank you so much ! Love your website! Such great information and stunning photographs! I’m in the early stages of research regarding cruise excursions to Antarctica, and came across Quark Expeditions a few times. I was wondering which of Quark’s itineraries you chose. Thanks in advance! Antarctica probably the most incredible locations on the planet.Though investigating hundreds of excellent skiing conditions the idea have to be snowy frosty around, some are even more tailored that will cold weather ?n comparison to the other individuals. Particularly the best delightful canines for example the penguins not to mention whale it’s positively valued at a call. Many thanks for the excellent publish as well as superb image. What a lovely place where seals, bears, whales and penguins called it their home. All of these suggestions are beautiful and intriguing! Deception Island has such an enchanting and ominous aura and Lemaire Channel is breathtaking. And the whale watching is such a unique and fun way to connect with wildlife! Great post. Antarctica must be an amazing place to visit even though looking at all those snow it must be freezing cold out there, some people are just more adapted to cold weather than the others. But for my favorite beautiful animals like the eels, penguins and whale it’s definitely worth a visit. it’s great you two are living the live you truly love, that’s very courageous i must say.Thanks for sharing those exotic views. So colorful & looks like a heaven of peace. amazing photography also. Ooh, we didn’t get to do that! Sounds exciting. Freezing, but exciting! Gorgeous pictures but I will say, polar plunge looks really terrifying. I am not sure that i have guts to plunge in such icy cold water. I don’t how these guys do it, it’s truly madness. You’re right on! Antarctica is truly a breathtaking place to visit – one of the most amazing places in the world we’ve cruised to. Your post brings back fond memories! Seeing thousands of penguins waddling about and tobogganing down icy slopes on their tummies was the best :-). The Drake Passage not so – it was quite rough for us (though seasick medication did the trick). Antartica is amazing. But is it afford to visit at heavy winter.